Earth Day is celebrated every year on 22nd April around the world to build support for environmental protection across the globe. Earth Day seeks to encourage people to carry out activities that will benefit Earth, such as recycling more, using solar power or plant trees. Earth Day also aims to raise awareness that humans have a collective responsibility to promote harmony with nature and to balance the economic, social and environmental needs of present and future generations. 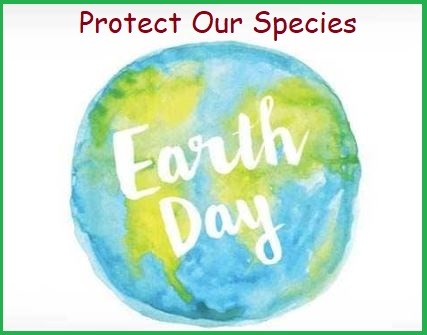 Earth Day 2019, the theme is ‘Protect Our Species'. It is dedicated to raising awareness about the accelerating rate of extinction of millions of species and the causes and consequences of this phenomenon. Earth Day was initially proposed by John McConnell at UNESCO conference on Environment in 1969. Later in 1971, a proclamation was signed to observe international Earth Day annually on the Vernal Equinox by UN Secretary-General U Thant. Earth Day was first celebrated in 1970, and since then it is celebrated every year in more than 193 countries. Earth Day celebrations are coordinated globally by the Earth Day Network. Earth Day celebrations are a way to remind humans of environmental deterioration caused by them and advise them to turn off the electronic devices that are not in use or taking public transport to reduce the emission levels. It recognizes that Earth and its ecosystems provide its inhabitants with life and sustenance.